These 3D printed extensions will allow more people to make/own a 5x5 bump cube. 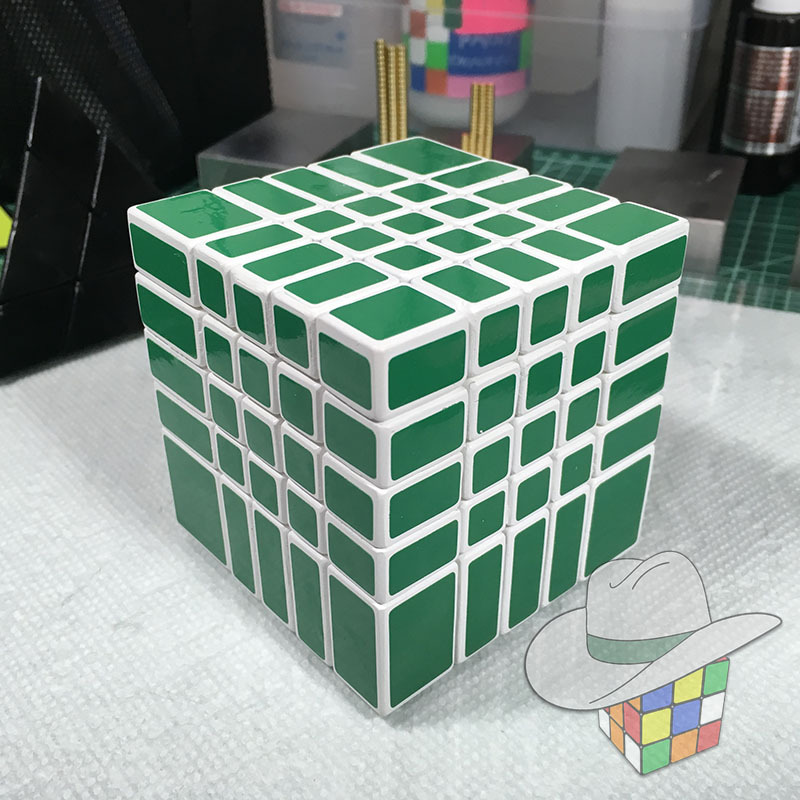 Anyone can have a set of these extensions 3D printed and then glue them onto the specified 5x5 to create a 5x5 bump cube. You have the option to only glue on the extensions onto a base puzzle with little or no finishing for a rough looking, but still playable puzzle. Or, if you are more of a modder, you can fill, sand and paint the puzzle for a more polish looking 5x5 bump cube. In the near future, I hope to add some build tips for applying these extensions and possibly even some sort of build videos to help demonstrate how these extensions can be used. In the meantime, you are welcome to contact me or join the Facebook group Puzzle Modders Anonymous for additional assistance with puzzle modding. If you are new to modding I would encourage you to subscribe to Nathan Wilson’s YouTube Channel for tons of use modding related information and tips. These extensions are specifically built to fit the specified base puzzle. They may or may not fit other puzzles. The Shengshou 0mm edges are 1mm longer along one dimension because the outside edges are not perfectly square. You will need to sort your pieces carefully before gluing on these extensions. All my tests were FDM printed in ABS material (black or white), but PLA should work equally well. I would recommend 100 micron layers; 150 micron layers also produced acceptable parts, but I would not go higher than 200 micron layers. You can purchase many of my extensions in a kit (with stickers) from Oliver’s Stickers. Disclaimer: Use these files at your own risk. No guarantee or warranty is either expressed or implied.